Is CIA leak of Bin Salman's guilt in Khashoggi Murder aimed at Kushner, or Trump himself? Is CIA leak of Bin Salman’s guilt in Khashoggi Murder aimed at Kushner, or Trump himself? 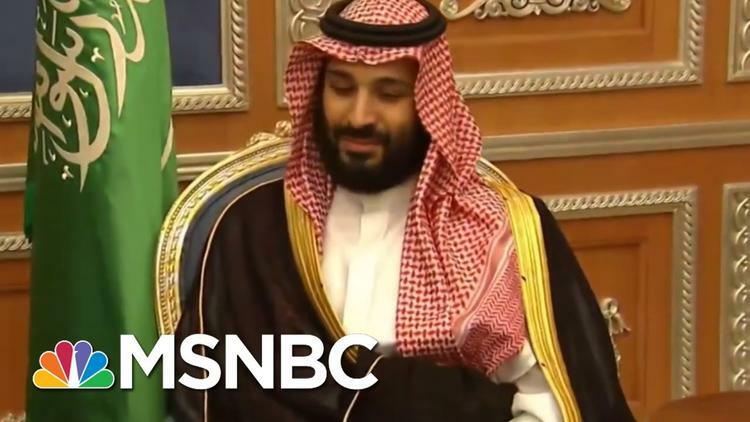 Ann Arbor (Informed Comment) – The CIA has leaked against Jared Kushner and Trump that Mohammed Bin Salman (MBS), the Saudi crown prince, ordered the murder of Jamal Khashoggi at the Saudi consulate in Istanbul. President Trump had asked the CIA to do an assessment of the murder. Apparently, from the leak to the US press, part of the evidence came from National Security Agency wiretaps of the Saudi Embassy in Washington, DC. They caught Khalid Bin Salman, the crown prince’s brother and Saudi ambassador to the US, telling Khashoggi that it would be fine for him to pick up the paperwork needed for his marriage to his Turkish fiancee from the Saudi consulate in Istanbul. Either Prince Khalid was in on the plot to murder Khashoggi, or he was duped by his brother to lull the dissident journalist into a false sense of security. He called Khashoggi on instructions from his brother, MBS. Trump had asked for the report, but it is unlikely that he wanted it made public. The CIA is deliberately leaking it. Since the agency is aware that Mohammed Bin Salman is teflon inside Saudi Arabia, it seems probable that the target of the leak is in the US. The member of the administration closest to MBS is Jared Kushner, though Trump himself has admitted that he wants the sale of US arms to MBS more than he wants Khashoggi’s killer brought to justice. The CIA may be attempting to discredit Kushner and to detach Trump from his alliance with the crown prince. The Saudi government has attempted to whitewash the murder. First it denied the killing. Then it blamed low-level rogue intelligence agents. Then it sentenced the latter to death so as to make sure they do not talk. The Saudis deny that Mohammed Bin Salman ordered that Khashoggi be whacked, which is laughable, since no one would dare do such a thing without his orders. It is an absolute monarchy, after all.